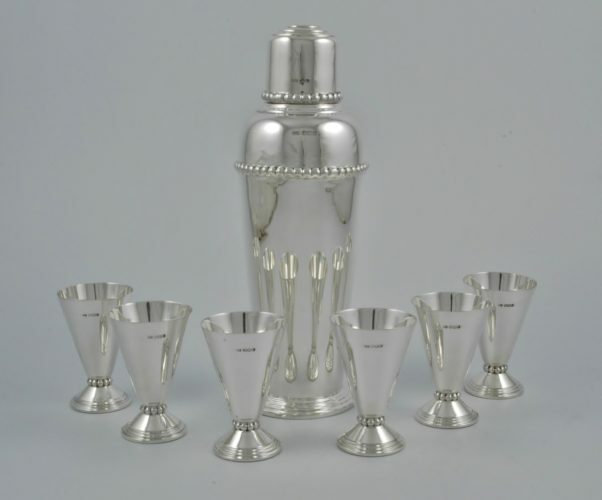 Art Deco silver Cocktail shaker and six cups marked for Sheffield 1938. 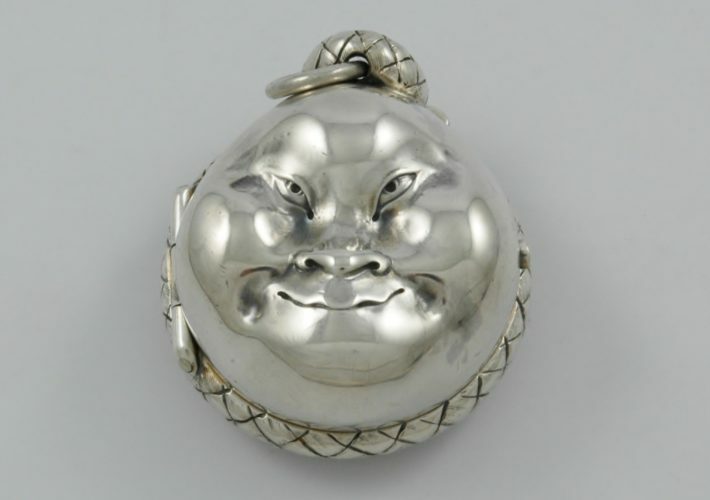 Rare Victorian novelty silver sovereign case marked for London 1883, in the form of a Japanese Noh mask by Louis Dee. 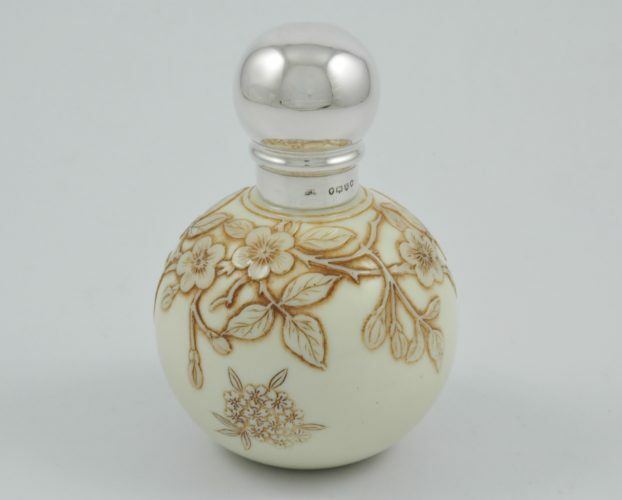 Victorian silver topped simulated ‘Ivory’ cameo glass perfume bottle by Thomas Webb marked for London 1885. ‘LIERRE No.1121’ - A clear, frosted and sepia stained ‘Gobelet porte-cigarettes’ by Rene Lalique, Circa 1920. 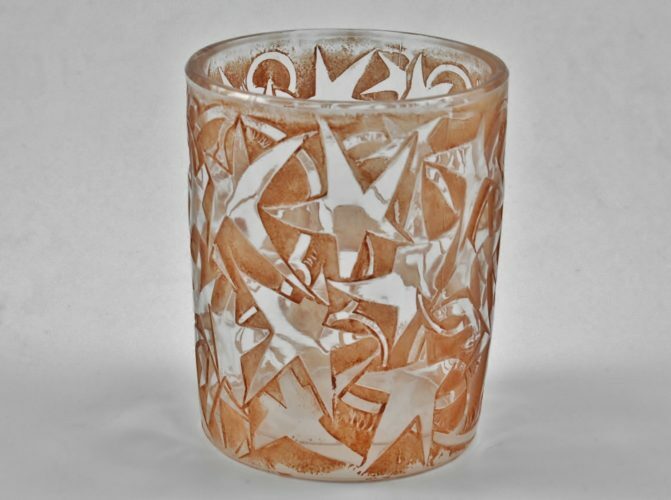 The Old Corkscrew specialises in exceptional pieces covering silver, decorative arts and the unusual. A strong emphasis on wine related antiques and superb collection of corkscrews.